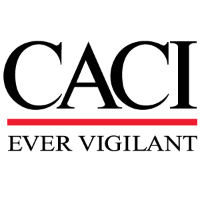 CACI is seeking an Lead Technical Intel All Source Analyst to provide intelligence support, supporting the Intelligence and Information Warfare Directorate (I2WD), Aberdeen Proving Grounds, MD. Leads the group of Intel All Source Analyst. Conduct all-source analyses and assist in the collection and dissemination of information to U.S. and coalition forces, on a need to know basis, concerning target device TTPs, technology, and safe handling procedures. Demonstrate ability to exploit various intelligence disciplines (e.g. TECHSIGINT, SIGINT/CYBER, MASINT) from all levels of classified information. Conduct Intelligence Preparation of the Battlefield (IPB) for identified locations using knowledge of current CBT TTPs and availability of commercial technologies. Researches unclassified and classified databases for use in written products. Monitors and analyzes strategic and operational intelligence information. Research support for analysts who produce Intelligence Community reports and briefings as well as direct support to current operations. Researches, authors, and coordinates threat assessments to support the Commander and/or leaders in the U.S. civilian intelligence community. Present, discuss, and defend assessments to intelligence community and technical community. Assist with development and maintenance of analytical policies and procedures. Visit on-site vulnerability assessment team CONUS or OCONUS sites approximately once a month. BA/BS or Associates degree plus 5 yrs. experience or 8 yrs. of experience. Experience in managing Intel Analyst and responsible for product development. Experience in conducting functional analyses of commercial base technology devices (specifically RCIED and UAS) and describe how the device functions. Knowledge of and ability to perform analysis on the latest Commercial Based and emerging Technologies that could be utilized by advisories and articulate how use of that CBT would affect DoD capability. Demonstrate ability to provide Indications and Warning and trend analysis data on target devices and TTPs. Ability to conduct Weapons Technical Intelligence (WTI) assessments on battlefield recoveries as well as COTS items in order to provide technology assessments. Knowledge of current events in targeting, customs, historical, assessment, and pattern analysis processes. Ability to generate/provided specialized analytical products. Ability to search/screen all media sources and provide assessments of intelligence impacts. Proficient in utilizing specialized intelligence tools to create final products. Experience providing intelligence support regarding issues within the CENTCOM AOR or other specific COCOMs. Knowledge of and deployment in the United States Central Command Area of Responsibilities.